I'll be honest with you, at this point, when it comes to cinematic themes I've got majorrrr Second World War fatigue. Over the past few years, Dunkirk, Allied and Their Finest have given me enough 1940s period aesthetic and wartime drama to last me a lifetime. 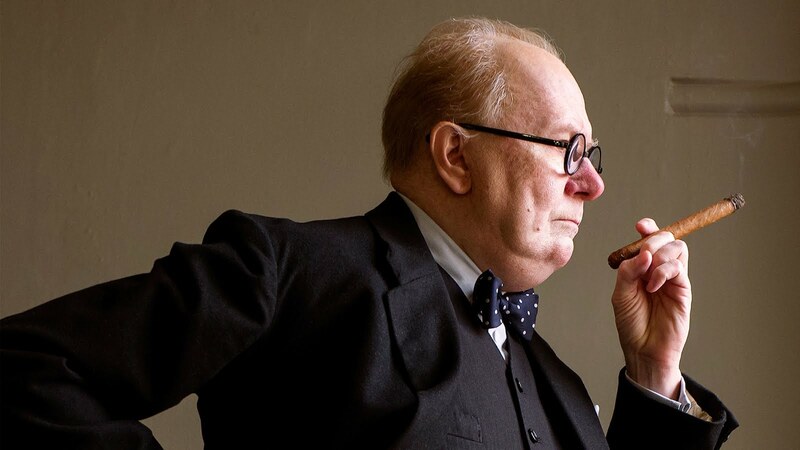 Darkest Hour tells the story of Winston Churchill's (Gary Oldman) rise to Prime Minister of the United Kingdom admist the backdrop of the ever increasing and tyrannical threat of Hitler's Nazi Germany. Rather than a full life biopic, the film focuses only on a few weeks in 1940, leading to the infamous evacuation of Dunkirk beach - and whilst Christopher Nolan's masterpiece detailed events from the perspective of the soldiers, Darkest Hour focuses on the trials and struggles occurring simultaneously in Downing Street and Westminster. Facing rebellion from members of his own party, but influenced by the support of his wife Clementine (Kristin Scott Thomas), secretary Elizabeth Layton (Lily James) and King George VI (Ben Mendelsohn) himself, the narrative proceeds as a high stakes tug of war between negotiating peace terms with Hitler or going full steam ahead in to nation saving warfare. Spoiler alert, Hitler and his 'peace' terms can shove it. Despite the rich historical period and the patriotic tale, you won't be surprised to hear that Gary Oldman's performance is the only truly noteworthy aspect of Darkest Hour. Aside from inevitable patriotic swellings with each and every memorable speech, the picture isn't a particularly enjoyable one to look at for the most part. 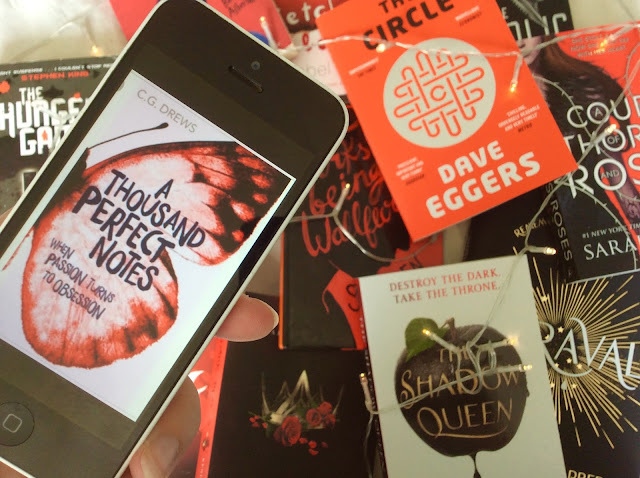 The palate is filled with blacks and greys, stuck inside underground bunkers and dark palace rooms, I loved the darkness - the tension mounting in murky rooms. Yet this darkness provides a dull outlook on the war and in certain arguments we see the same shouting match over and over again in various different worded ways. This is not only dull, but lengthens the feel of the film. I can't get away from the view that the films surrounds classic 'Churchill moments', with very little substance when it comes to everything else in between. So, lets get to why we're all here, shall we? Gary Oldman is fantastic, a true artist at work. Physically, he might not strike the strongest likeness, but in the way he acts and speaks - there is something so Churchill about him. In the command of his voice and the total commitment to his physicality that makes it completely authentic, a transformative performance. There is no doubt, Oldman carries the film, and he should be picked up the Academy Award in a month or so. Kristin Scott Thomas brings some grateful dashes of colour as the chirpy, equally headstrong Clementine Churchill. But even then her physical appearance is plagued with blacks, whites and murky greys. The relationship between the two during the film is beautiful. Quiet banter away from tense war rooms that they share, provide some of the most enjoyable moments of the movie. Lily James as Elizabeth Layton acts as something of a surrogate for the viewer, the young secretary who is thrown into the weird and wonderful world of Churchill. Her character had definite promise and her performance accomplishes. But it feels like more a subplot involving Elizabeth was intended but never made the final cut. However though, she shares some heartwarming and tense scenes with Oldman - but as there credits rolled there was something unfinished about her character. 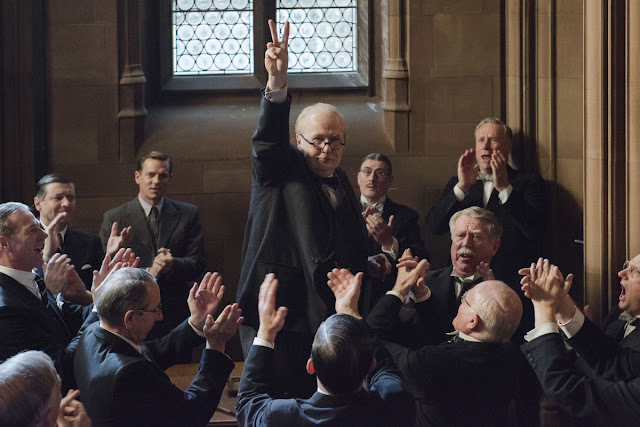 Overall, Darkest Hour is a solid but not the most sensational historical drama. It is more of a showcase for Gary Oldman to impress on all fronts, but outside of his Oscar winning performance, the film is rather more average than everyone may have hoped it to be. Worth a watch - Oldmans performance is one of the greatest I've ever seen, he carried the script and the film and it was one of the most incredible acting performances.